It's not the marriage certificate. Dana A Costache, The power of communication lies with the listener, as he or she makes the decision to turn words into action. Do you listen with an open mind? 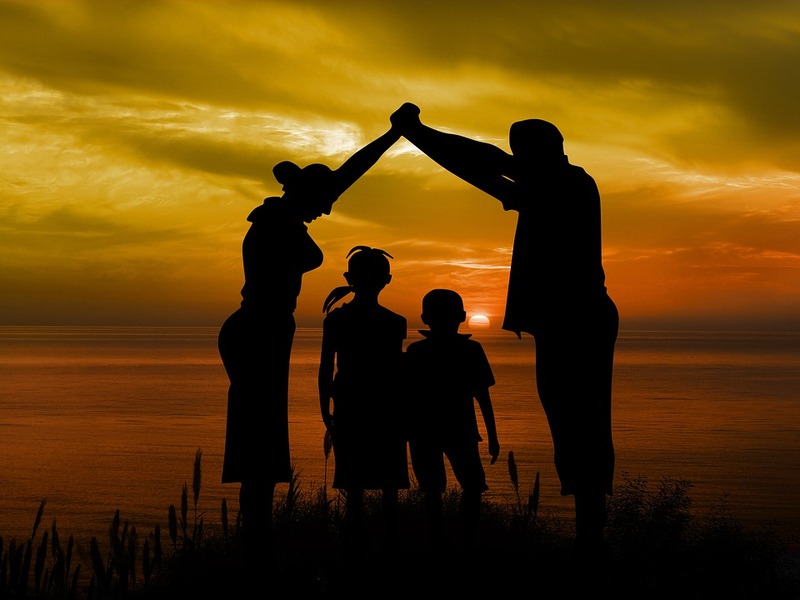 Depending on the context, “family” has been defined in various ways for the purpose of determining welfare rights, housing benefits, insurance benefits, healthcare coverage etc. Degree of blood relatedness, duration of domestic partnership, proof of joint expenses, debts or investments – all come into play when an individual’s social, political or economic behavior and needs are under public scrutiny. Most of our individual rights and responsibilities (to education, to pursue individual happiness, to say what we think) are intrinsically linked to our family. They derive from our statute as a family member. In fact, the correlation between rights and responsibilities becomes clear within our own family. Every right we individually possess becomes, in turn, the responsibility to share its fruit with our family members, and with our extended community. The Bible and most spiritual teachings of all faiths lay out spiritual laws to guide families. Two of the 10 commandments relate to the sacred role of family and marriage. The fifth commandment is “Honor thy father and thy mother”, while the seventh is “Do not commit adultery”. The Torah sees marriage as two halves becoming one. An indestructible unity – as long as the two halves don’t stray from sharing the same values and pursuing life goals together. Our societies have transcribed these teachings, as best as possible, into laws. Legal marriage is unity, including (or mainly??) for tax-related purposes. However, sewn intrinsically both in the laws of man and the laws of God, another concept is, I believe, key to what makes a family. It is the concept of togetherness, of being together, where the metrics of togetherness are both spatial and temporal. Being together as husband and wife is not really related to the marriage certificate. Once a couple lives together in the same house and spends most of their non-working hours engaging in common activities, they are a family. In Western societies, adult children might end up seeing their parents and siblings a couple of times a year. Yet, they never lose the “family” connection, for the very reason that, during the first almost two decades of their lives, they did live in the same space and spent most of their time with their parents and siblings. It is time and space that create indestructible bonds of family, that togetherness that shapes our mold into who we are as an individual. The rapid pace of today’s society has been taking more and more away from these two metrics of togetherness. We spend less time with our spouses and children, and much less time at home, engaging with each other. I belong to an organization called the Young Global Leaders, which is a part of the World Economic Forum (even though I am fast approaching the upper age limit for membership). Most of my colleagues are globe-trotters, sharing their work and values all over the world. But, from what I’ve seen, the ones that are married or have families and children, do a large portion of their travels together. At a meeting in Manhattan, just a few days ago, one of my fellow YGLs, who was nursing an infant, came with her husband and baby daughter, all the way from Europe, with several other international stops following. There are so many examples of people who are very mobile and global-minded, who live a very fast-paced life, but it is a family life nonetheless, as far as time and space are concerned. How else, but through our constant presence in their lives, can our children truly understand the nature and value of family? The law penalizes absenteeism, too. In divorce cases, the absent parent may lose joint custody or even be denied visitation rights if his sudden presence after years of absence may negatively impact a child’s emotional well-being. In relocation cases, where, after the separation, one parent decides to move out-of-state or abroad, thus affecting the consistency of his or her presence in the child’s life, the judge or the mediator will see that the parents understand the importance of having a permanent and consistent presence in the children’s lives. While separated parents may have lived an hour’s drive from each other, and their children spent the week-ends with the non-custodial parent, when one parent moves away, parenting agreements need be re-written so that the child doesn’t lose the feeling of togetherness, the feeling of family, with the relocating parent. Such an agreement might have the child spend half or more of his or her summer vacation and other school breaks throughout the year abroad, exactly because family time is time spent together, in the same place. I have recently spent close to two weeks (almost) alone with my young children, while my husband has been traveling. I have observed them going on about their days, going to daycare and to school, seeing their father on FaceTime every couple of days (mostly because of time zone difference). Every now and then they told me they missed him. Yet, their day and routine continued apparently unaltered by his absence, mainly because nothing else in their lives had changed. Emotionally, they were ok. But this had been a short-term absence that is the exception and not the rule of our family life. Their familial connection with their father would only resume once they are back together in the same space. Being in the same space is the privilege of family. It is where you observe, learn, admire, criticize, love and feel loved and just be yourself. Nowhere else is this privilege of profound togetherness given to us – not through technology (at least not today), not at work, not at school. The law cannot stop the fast pace of our lives and the multiple roles we have embraced outside of our family. Yet, preserving family togetherness seems to be more important now then ever before. I am a family and divorce mediator who believes our greatest power lays in how we communicate to each other. I believe that being receptive to other people's ideas can be done in two ways: the first one relates to being intellectually curious and opening your mind to the values and behaviors that stem from other cultures and traditions; the second way is by being emotionally willing to let go of biases and personal judgment when you are facing someone who has a different social-cultural, economic or racial background, and relating to their internal values (kindness, sense of humor, empathy) rather than their external ones. Being receptive and non-judgmental is the foundation for any relationship, especially the relationships within one's family. Academically, I am a graduate of the Fletcher School of Law and Diplomacy and I hold an Executive Education Certificate in Global Leadership and Public Policy from the Harvard Kennedy School of Government. I am studying towards my LLB with the University of London International Programmes. Professionally, I have trained as a family and divorce mediator and I practice in New York and New Jersey. I have worked as a communication adviser and leadership trainer for 16 years prior to completing my training and Practicum in divorce mediation. After working with corporations and executives for 16 years, I now know that my biggest satisfaction comes from helping families and communities, as they are the foundation of a healthy society. In my work, I help couples to either re-write the story of their relationship or to find, within themselves, the fortitude of letting go and starting new chapters in life, with the least possible negative impact on themselves and other family members. I live in Bergen County, New Jersey, with my husband and two children. I am an American of Eastern European descent and I draw my cultural roots from Romania, a beautiful country that was once a flourishing European monarchy ruled by German and British monarchs. Since 1948, Romania has endured almost 6 decades of communism, until 1989, when it was freed and became a democracy. Countries, like people, cannot live indefinitely without their freedom. “There Is a Reason We Gather With Our Families Because At a Very Deep Level We Desire Connection” With Laura Petiford.